Well, the end of the growing season is upon us and the Nursery is closing this week until the end of April 2016. 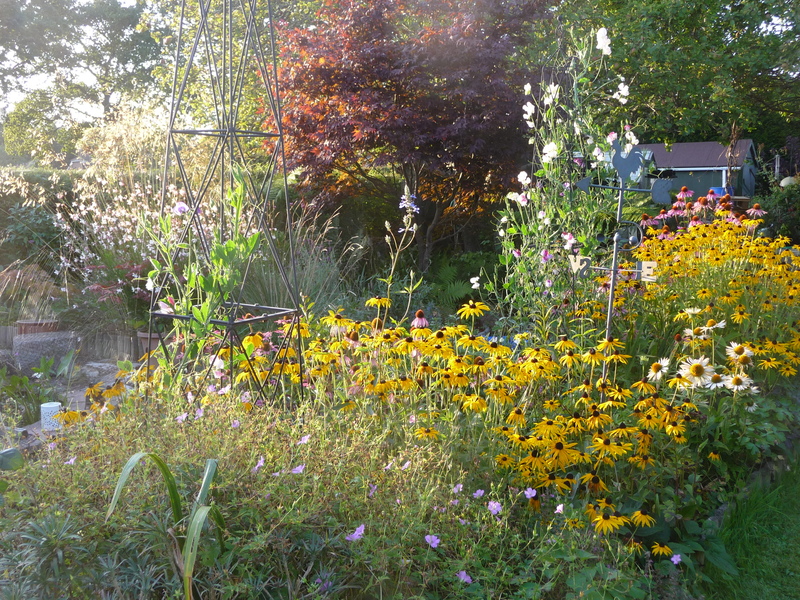 We have had a very successful plant season- I hope that all my lovely customers are pleased with whatever perennials they have bought from me, both from the top of the garden here or using mail order and also at the many events we’ve been to this season! In the Spring I attended 2 table sales-the first time we’ve been to one of these. Both were at Colehill Memorial Hall-the first was run by the Hardy Plant Society and the other Plant Heritage.Thankfully I had organised myself a helper as when the doors opened at the arranged time,a plant crazy crowd descended, circled the hall once and then queued to make their purchases! It made the adrenaline rush somewhat but was very enjoyable! I’d recommend those sales and will be going back for more next year. 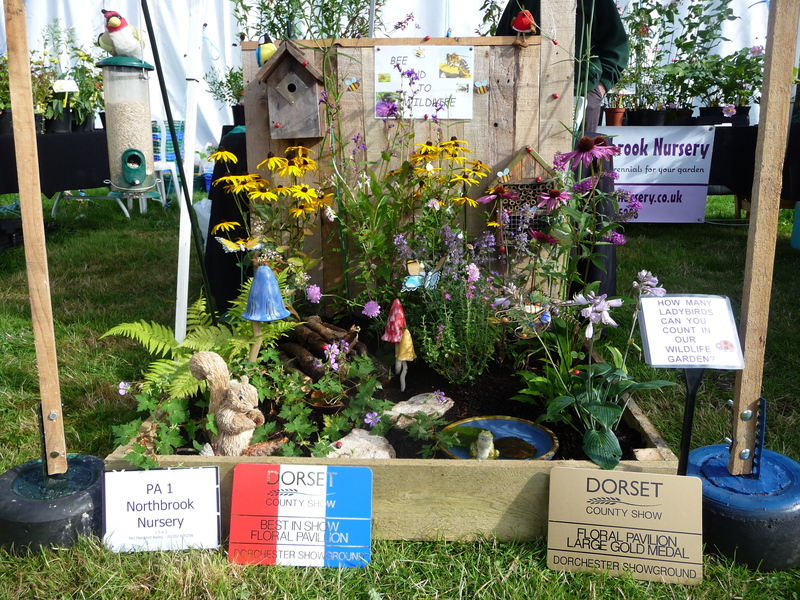 Another big success was winning Best in Show from all the outside show gardens at Dorset County Show! We created a 1m sq.mini show garden- ours was in the theme of a wildlife garden with a log pile, pond complete with lily and frog, insect friendly flowers and lots of butterflies and ladybirds. On the Sunday 2 real Small Tortoiseshell butterflies stayed with us all day enjoying the lovely Buddleja Buzz which was in full flower! Here’s what our entry looked like….Check out the robin! !